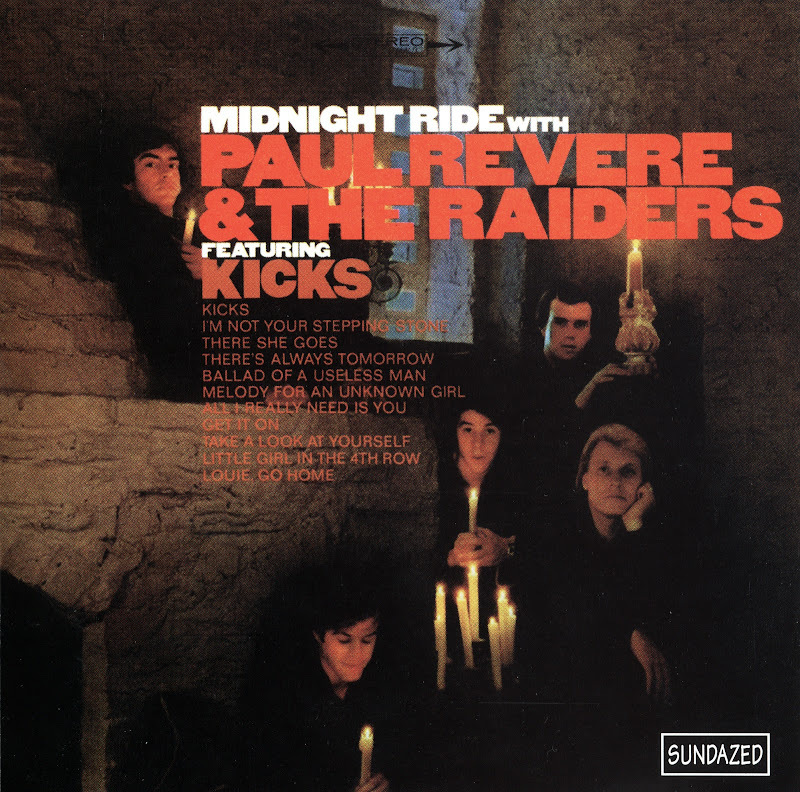 Fifth studio album by American pop rock group Paul Revere & the Raiders. Produced by Terry Melcher and released in May 1966, the album featured the U.S. top five single "Kicks." The album also includes "(I'm Not Your) Steppin' Stone", a song The Monkees covered and became a U.S. top 20 hit in 1967. The album is unique in the band's discography in that it contains songwriting credits by all five bandmembers. Stylistic changes, combined with arguments over which group members were to get their songs included on the band's albums, resulted in lead guitarist Drake Levin quitting the group following the release of Midnight Ride. The album also marked the end of the band's relationship with the Brill Building music publishing house, where "Kicks" and "(I'm Not Your) Steppin' Stone" were written. Midnight Ride peaked at number nine on the U.S. Billboard 200 albums chart. The album was certified gold in the U.S. on March 20, 1967. 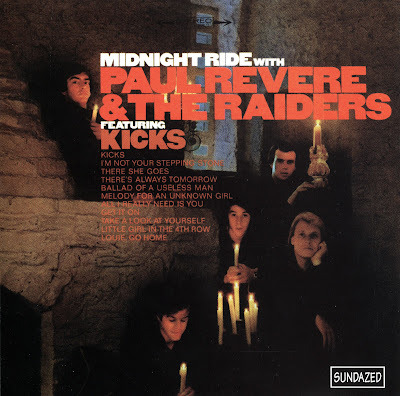 Music critic Bruce Eder said the album "marked just about the pinnacle of Paul Revere & the Raiders' history as a source of great albums. "The album was described in Billboard magazine as a "package of hard driving, pulsating rockers." Serene Dominic of the Phoenix New Times called the album "proof that [the band] squandered not a minute of that massive TV exposure." It is listed in the book 1001 Albums You Must Hear Before You Die by Robert Dimery and Michael Lydon. Mike "Smitty" Smith - drums, lead vocals on "There's Always Tomorrow"